Knowledgeable. Experienced. Professional. Those three words describe the services 888-LOG-GUYS will give you from the very first time you give us a call or send us a request online. 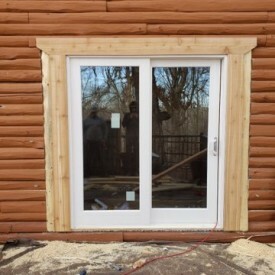 Once you become an established client, our staff and crew will continuously be there to make sure your log home or log cabin stays in great condition. We offer restoration, repair, and maintenance services. There’s a lot of love that goes into our work, and we are here to help you in the Goodlettsville TN area! 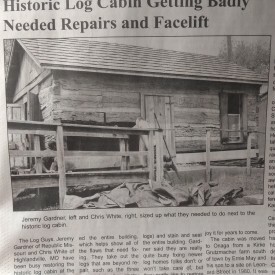 If your logs are becoming dark or if your log home has not been maintained in several years, it may be time to ask us to restore it to its original beauty. 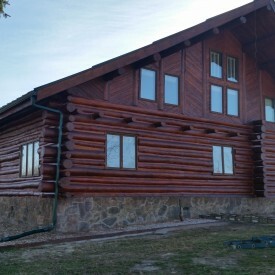 We can even change the look of your log home by applying the best quality stain after we prepare it with a media blasting (corn cob, sand, walnut, and glass) sanding, borate treatment, and energy seal. Ask us about how we can rejuvenate your log home by giving us a call or requesting a free estimate from our website! Are you concerned about the condition of your logs? When unexpected things happen, such as log rot or an insect infestation, there is no need to worry. You have found 888-LOG-GUYS to fix your log home problems! Our work ensures that your logs will be properly repaired or replaced. 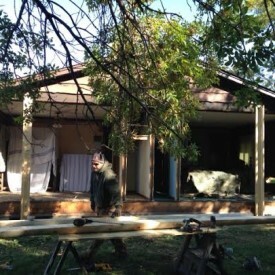 Our professional crew will bring your log home or log cabin to its best condition. Call us or ask for a quote from our website! You may have noticed air drafts around your windows, water leaks coming through the walls, or insects invading your log home or log cabin. To close the gaps in between your logs, call 888-LOG-GUYS to apply or repair an energy seal (chinking or caulking) on your log home. We want to make sure your log home in the Goodlettsville TN area is a cozy and comfortable place to live. If you’d like, you can also request an estimate from our website! 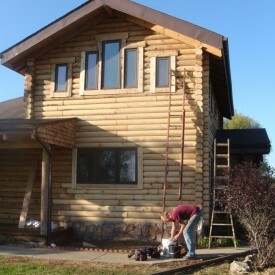 Increase your log home’s value by asking 888-LOG-GUYS to build additions that will make it even more beautiful. We have constructed many different additions to log homes such as decks, porches, patios, log staircases, and log railings. But don’t think that we can’t do more! Contact us to inquire how we can make your log home in the Goodlettsville Tennessee area even better than it already is! 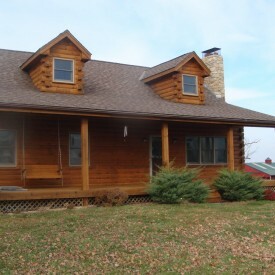 Let 888-LOG-GUYS maintain your log home or log cabin in the Goodlettsville TN area, and you will not regret it! We will make sure the upkeep of your log home is in correct order, never missing a maintenance cleaning to keep it in the best condition. We use the best products to maintain your log home, and when unexpected things happen, you have us to be there to repair or fix log problems that may happen in the future. Call us, or request a free estimate online!